I bought a Nook Simple Touch. It rocks! 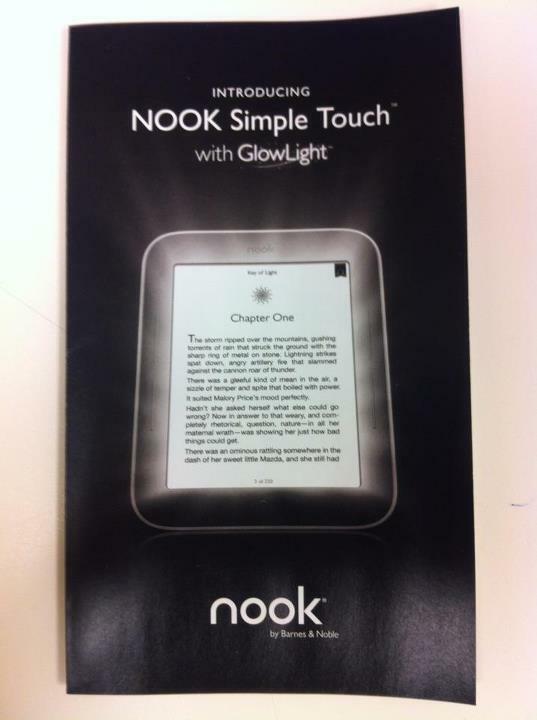 I finally decided to buy a Nook Simple Touch, the black & white, E-Ink version. It really is just like reading on paper. I took it down to Laguna Beach today and had no problems reading it in direct sunlight. It is great to have the ability to carry so many books in such a lightweight device. Now I have to root it. Re: I bought a Nook Simple Touch. It rocks! Really good how-tos & a great video on the refreah rate of the e-ink..! Congrats..
Just a follow up, I returned the Nook within the two week return period because I saw the announcement of the Nook Simple Touch with the Glowlight. I picked it up a few weeks ago just before I went on vacation. The light is a great addition when you're in an area with poor lighting. Awesome device!